Asta is a wonderful guide! She speaks many languages and is very personable. TOUR GUIDE RESPONSE: Thank you, Suzanne! It was nice meeting you all. It's raining here, so you might see a landscape of waterfalls tomorrow in Fiordland! TOUR GUIDE RESPONSE: Thanks heaps! What a great day it was! How lucky we were to see albatross in flight and on the nests and yellow eyed penguins too! Enjoy Milford sound tomorrow and have a great time in Australia! TOUR GUIDE RESPONSE: Thank you for rating. It was lovely to meet your all! Asta was very personal and informative. She took us places where tour buses couldn't go and we had a wonderful time. TOUR GUIDE RESPONSE: Thank you! What an amazing day of sunshine we had. I hope the sunshine follows you to every stop in New Zealand. When we met Asta rain was pouring down driven by 45 mph wind. The day was looking like a bust. Asta rolled with it and got us close to the entrances of buildings we toured. We were fortunate to see several Albatrosses and a Spoonbill. As the day cleared scenery improved and we got off the beaten track. TOUR GUIDE RESPONSE: It was lovely meeting you! I have a feeling you will be back to New Zealand soon :). The weather was not great to start with but thankfully it improved later in the day. Asta is a wonderful guide with knowledge and obvious pride for Dunedin. She has a great sense of humor and was willing to be flexible based on what we wanted to do that day, Dunedin is gorgeous and the Botanical garden can't be missed. TOUR GUIDE RESPONSE: Thanks, Jim, for your feedback. I truly enjoyed the day with you and your friends and great to hear you agreed with me in regards of our gorgeous upper Botanic garden! There were 8 in our party ranging from 10 to 86 yrs. Asta was an informative guide and did her best to meet all our needs. The boat cruise was a little disappointing as we didn't see anything more than we could have seen from the ship when leaving the port. In fact we saw more albatross from the cruise ship than we saw on the tour. Having said this the young men on the boat cruise were very friendly & did their best make the cruise interesting and informative. They provided spray jackets & binoculars. TOUR GUIDE RESPONSE: Thank you, Robina for your feedback. It was very nice meeting you and your family and showing Dunedin and surroundings. I'm sorry to hear about your disappointment of the wildlife viewing on the cruise. Unfortunately, wildlife is unpredictable and we never know what we will see on the day. 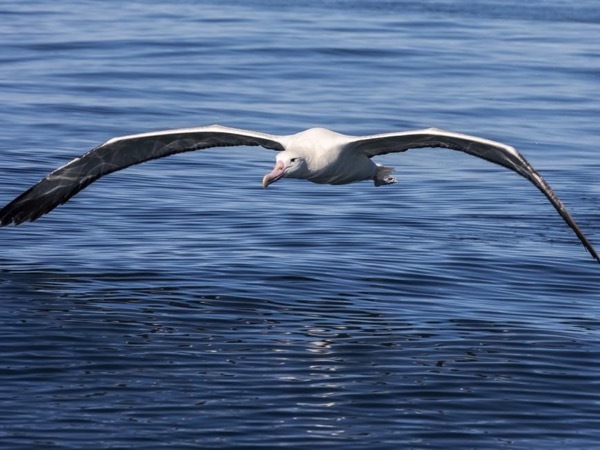 The day was amazingly still which can be considered as the worst flying conditions for the huge birds -Royal albatross. I hope you visit Dunedin again and get q better opportunity of wildlife viewing. Asta did a good job getting as much in as possible during the short time we had on shore excursion from the ship. We were able to see the highlights of the town as well as some of the beautiful coastal scenery and wildlife. Could NOT have been any better! Even more than seeing Dunedin we just loved spending time with Asta!!! Asta showed us the area and it was like our best friend spending the day with us! Thinking about returning just to see her again! TOUR GUIDE RESPONSE: Thanks, Philip. It was an absolute pleasure to have you all on my tour. I felt like having friends visiting Dunedin and me which made me for a moment forget I was working :). All the best and come back to Dunedin one day again! Asta was our knowledgeable and friendly guide for our day tour in the Dunedin area - and a good driver. She gave us valuable info about the city and its history, and also about current life including Emerson craft beer which we have subsequently enjoyed elsewhere in NZ. Asta also was very helpful in getting us a refund on admission fees to the two bird sanctuaries (as we were only 2 people on a 6 person tour). We would recommend Asta highly if you are looking for a guide in Dunedin. TOUR GUIDE RESPONSE: Thank you, Catherine! It was lovely to meet you and help you revisit Dunedin after almost 20 years! I am pleased you had a chance to try Emersons beer! A lovely train trip with my elderly family of 12! ASTA was very caring and organise all the tickets. And she was waiting for our return after 4 hours in time to take us back to the Majestic Princess! We truly enjoy the Rockies equivalent of New Zealand! Thank you ! She also suggested that we should not miss the photo of the old train station and true enough, it was an iconic building to behold as a remembrance for our family 's reunion in New Zealand! Highly recommend it with 12 seaters and elderly! TOUR GUIDE RESPONSE: Thank you, Emily. It was lovely to have your cheerful extended family for a tour! Asta was an absolute super star and showed us far more than we expected to see in a one day tour. There is so much to see in this area of New Zeland and Asta knows how to do it right. We highly recommend that you take this tour. TOUR GUIDE RESPONSE: Thank you, Dennis. It was such a pleasure to tour with you and your wife! Once again Asta went above and beyond to make my final day in Dunedin memorable. She saved the best for last - Tunnel Beach! She's a very safe driver and knows the area extremely well. I can't say enough great things about Asta. She's a seasoned tour guide and it shows. She is energetic, organized, personal, a great storyteller. TOUR GUIDE RESPONSE: Thanks a lot. Your rating might be one of my best ones, Lacy! Asta is an exceptional tour guide. She knows everything from Dunedin's historical figures to species of birds. I was beyond impressed with her depth of knowledge. I had a very unique request to add to our agenda and she went above and beyond to fulfill it! 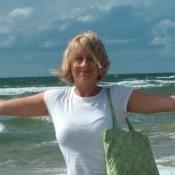 Asta is engaging, flexible, patient, worldly and puts her client's needs first. I am so glad I booked Asta for two days. She really made my trip to Dunedin memorable!! TOUR GUIDE RESPONSE: Thank you, Lacy for such a great feedback. It was a great pleasure to meet you and show you Dunedin and Otago Peninsula. I enjoyed seeing your excitement about the area on the tour. TOUR GUIDE RESPONSE: Thanks for rating! Asta was a really great guide. Very personable. Showed us a wonderful time even though the weather ( very foggy) made some sight seeing difficult. She adjusted on the fly to make sure we had the best views of things we could. Highly recommend her . TOUR GUIDE RESPONSE: Thanks a lot. It was a pleasure to have you on the tour and show you Dunedin and Otago Peninsula.